For the past several months the Town of Apex staff have been feeding the town manager data so he could present his first draft of the Capital Improvement Plan (CIP) for the fiscal year 2017-2018, which begins in July 2017. 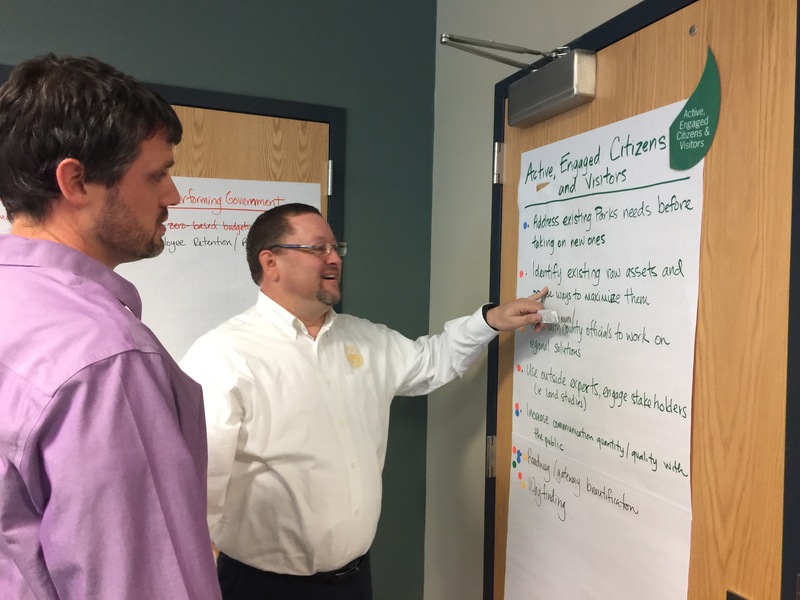 Last month, our town manager, Drew Havens, handed each of the council members his first draft of this big-spending planning document so we could review the contents and plan for the annual retreat. Development Statistics, presented by Dianne Khin, Planning Director. Construction Statistics, presented by David Hughes.Asst. Town Manager. Financial Update, presented by Vance Holleman, Finance Director. Capital Improvement Plan, presented by Amanda Grogan, Budget & Management Analyst. 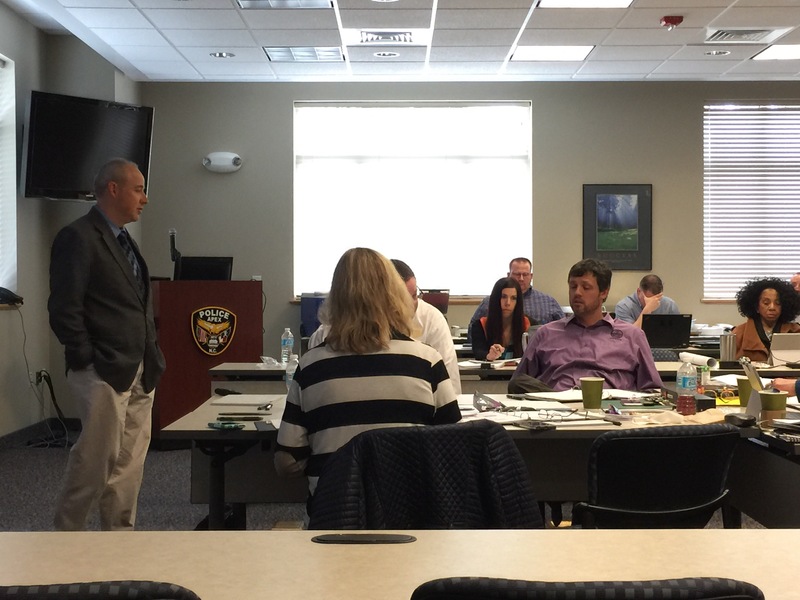 CIP Ranking Results and Analysis, discussion led by Lance Olive, Mayor. Non-CIP Initiatives and Priorities, exercise led by Lance Olive. General Obligation (GO) Bond Basics, presented by Vance Holleman. Master Subdivision Plan Planning Review, presented by Dianne Khin. During the first presentation, Dianne Khin told us how our population is currently 48,500, and we expect to reach 89,392 by the year 2030. This expects a growth rate between 4 and 5% percent, and this is consistent with predictions that we’ve been making for the last few years. The year 2013 was the beginning of a noticeable increase in rezoning requests, development and plat submissions, with non-residential and construction plan submissions trailing a year behind. The ratio of single family homes to town homes is about 5.4 to 1 and new business startups have been fairly consistent over the past five years, ranging from 70 to 100 per year. David Hughes then followed with construction data, showing us how residential construction permits have surged since last July, which didn’t surprise anyone in the room. With commercial permits, we’ve seen a smaller number of permits, but a higher total valuation, implying a strong base is being built for non-residential tax revenue and jobs. Permit fee revenue is up strong this year, compared to last year, and we’re arguably the hottest market in the county. In the third presentation, Vance Holleman showed us that our actual revenues and expenditures and solid when compared to the working budget. We looked at the General Fund, the Electric Fund, and the Water/Sewer Fund. We then reviewed our current debt service, which is around 7.5% of budget, and debt capacity, which is about 20% of our policy maximum. We have a sound budget with room to take on additional debt to cover expensive projects, if we deem it necessary. The council members individually ranked the entire list of 35 CIP projects and turned in a set of cards, showing their preferences. Amanda ordered them by average ranking and grouped them by standard deviation so we can see the groupings. The result was four sets of priorities, broken down into quartiles. Council negotiated a few minor adjustments and accepted this as their group set of priorities. After a foreshortened lunch break, we reviewed the list of non-CIP issues, staff put them up on large flip charts and voted using dots so the staff could get a sense of the most important pursuits. Vance Holleman then walked us through what would be required in order to pursue a possible tax increase to support a general obligation bond to fund Parks & Recreation projects. Each $10 million that we need would “cost” about 1 cent per $100 of property valuation. In the end, we gave staff general direction to assign the scope to be the list of parks and recreation projects that total about $30 million, and hold onto the other $20 million of needs for another referendum. Lastly, Laurie Hohe and Dianne Khin spoke with council about making master subdivision plans a properly administrative effort, rather than a judicial one decided by council. We mostly accepted the modifications of the UDO in order to establish objective criteria against which an administrative body, such as the planning board, can make approvals of MSPs, allowing council to focus on larger issues. We departed having accomplished all the planned goals for the day: learn, discuss, decide and guide.